Y'all may remember I'm Not a Neutral Gal...and here's the proof. 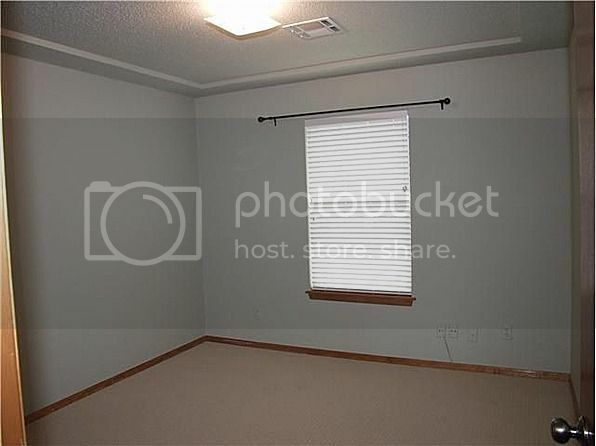 One room I haven't talked about much yet is the office/guest room. 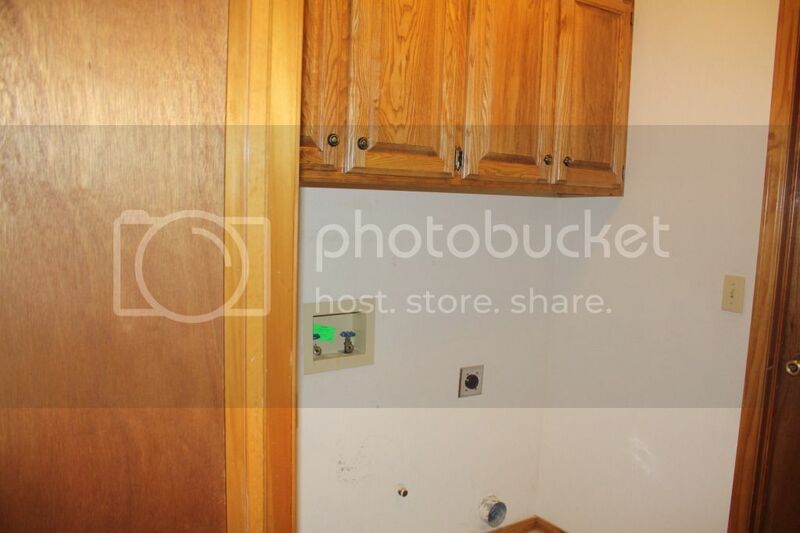 When we bought the house it was dingy and dark. A teeny dim light in the middle of the room barely made a dent. The color was a green painted over bright purple, giving it a dark muddy appearance. Even the ceiling was painted green!!! 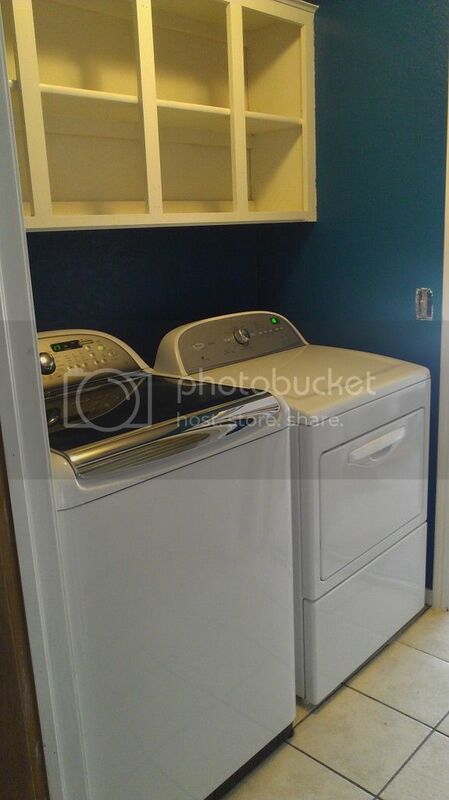 Now y'all might have seen pics of our laundry room, which is painted peacock blue. We still need to paint that door to make the transformation complete (and touch up the ceiling), but I can definitely live with this. 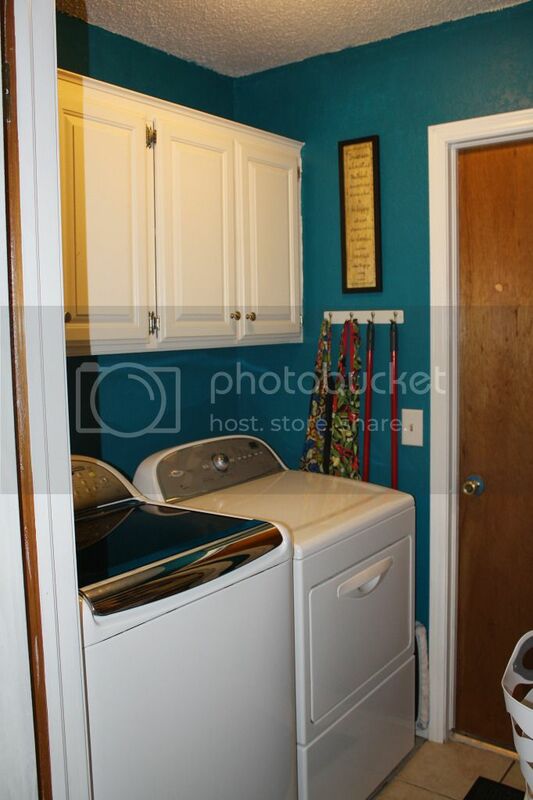 I actually wanted to paint our master bedroom this color, but after the laundry room Matt thought it might be overwhelming. So we had two extra gallons of peacock blue. The office Matt wanted to paint a lighter green, called "cool cucumber" or something like that. After a coat of primer to cover the dingy green, and a coat of cucumber...it looked exactly the same. So I proposed we make use of those peacock gallons! My mom made a fish face and acted like she was swimming every time she walked into it. Matt claimed he liked it. We installed a ceiling fan (thank you Jason!) and painted the ceiling white. 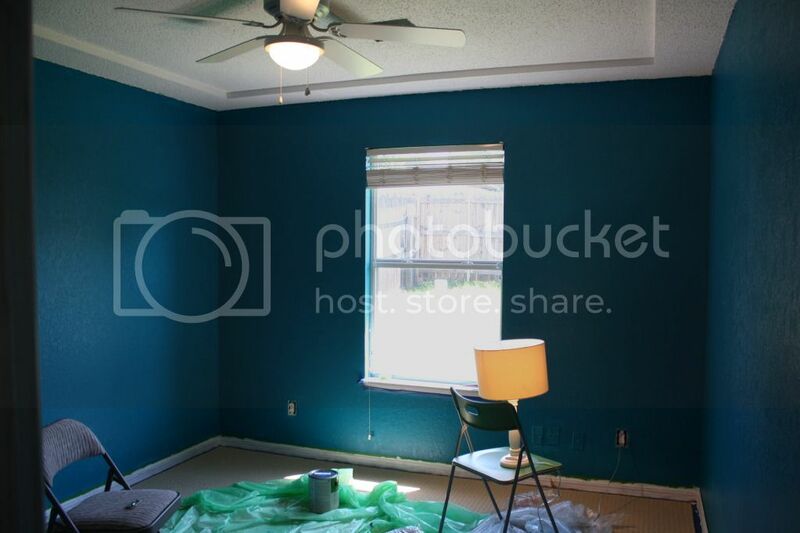 The way it was left for awhile it just looked like an awkward blue room...but I had a vision. All our funky pictures, our bright and bold accents would find a suitably funky room to live in and make the transformation complete. With Matt's parents coming for a visit I decided it was time to get things done (or at least rolling) in this room. A bit of rearranging, a few hours assembling the futon Matt's parents got us (they claim it was selfishly so they could sleep better, but it was very generous and all future guests can thank them! ), and a bit of sewing and the room is much closer to being complete than it was. The orange board is actually magnetic, and those are words for some creative poetry on the go. 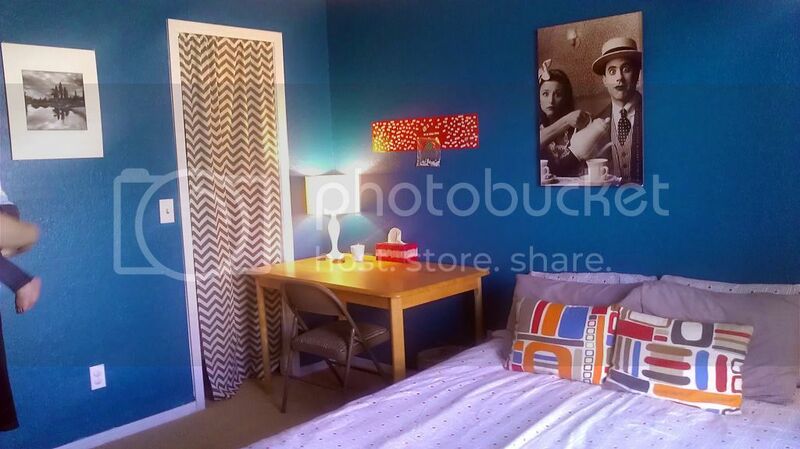 The chevron fabric I got with my Hobby Lobby coupon and just used a tension rod to hang it after hemming the edges. Jerry and Elaine were a thrift store find I couldn't live without, and they finally don't look so out of place. It may be loud and not your style but I definitely love it. Love the graphic prints and the bold pops and the mod feel of the whole thing. 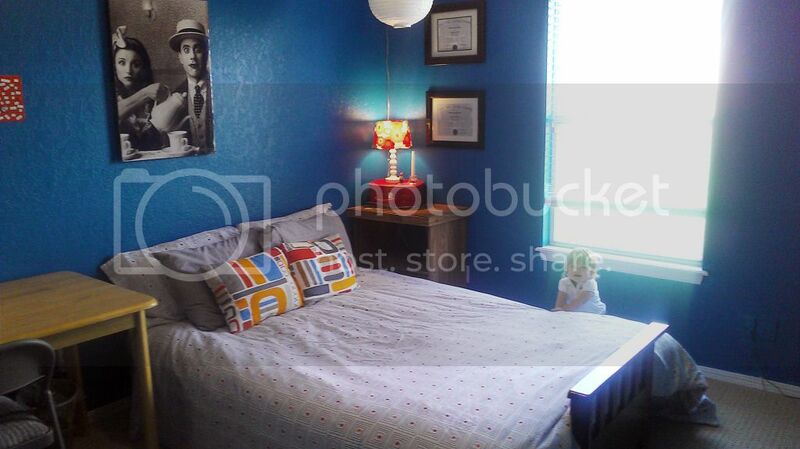 So if you're headed through OKC sometime, drop us a line--we've got a room ready for you! I so enjoy you .... and yes... you were right .. it looks MARVELOUS! !